We met back in 1988 on a flight from London to New York. Chris was vacationing in Greece and stopped to visit her parents. She was working in corporate travel at the time. Steve was coming back from working for a band that was on The Monsters of Rock Tour that covered Germany/England/Netherlands. Chris had been living in New York for about 10 years at this point and Steve had been on the road for a couple of years, touring with rock bands as a roadie. Subsequently. Chris would join Steve at gigs on the road at the weekend. Soon after Steve started working for a new band that was in New York and rehearsing in Hoboken N.J. at the time. So naturally Steve moved in with Chris and the budding romance was in full swing. In 1990 Steve was off the road and back in the real world working in IT for a brokerage firm in New York. Chris was still in the travel industry doing corporate travel in a company in 2 World Trade Center. We both decided we had enough of the pace and weather in New York and looked for somewhere else to live. Atlanta offered a up and coming prospect for IT industry (it was also warmer) and Chris could transfer to her company’s Atlanta office. Steve quit his job, Chris took 2 weeks vacation and the Clampett”s were on the road south. So we have lived in the Atlanta area since and Chris retired in 2013. She joined joined a ladies golf league to try and fill her time now that she is not working. Steve is still working and is a teleworker for the past 3 years. We needed some change. We were taking separate vacations as we had 2 older dogs and did not want to kennel them for any long period. We started looking into doing the RV thing about 2 years ago. We were thinking this would be a great option for travel and see the sites that North America had to offer. We started looking not long after a friend (and coworker) of Chris’, Susanne (Take to The Highway) started her journey full time and we thought that would be a cool thing to do. We had one dog still in the nest and he was around 15 years old and we could not do anything as long as he was still with us (yeah dogs rule). So we were doing research on this RV thing and Steve got a little obsessive. We definitely did the gas vs diesel comparison, floor plan selection, number of toilets (had to have 2), length etc… We decided a 40′ diesel pusher was the one for us. We also narrowed it down to Newmar for it’s customer reputation of quality and service, and floor plans. We also needed to look at the price range and we decided on the Ventana 4037 plan. The beginning of July we became empty-nesters, as our 15 year old lab had to be put down. 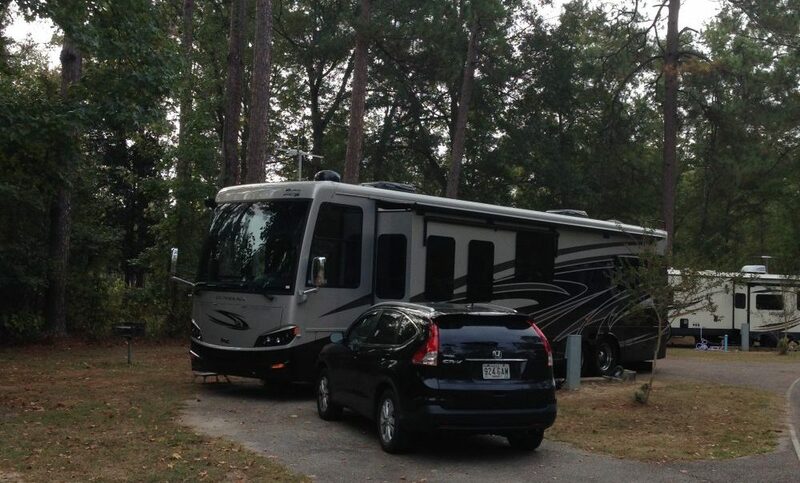 2 weeks later our coach popped up on RV Trader. It was a 2015 Ventana 4037 (it was fate), so we bought it. Now our adventures begin.